In the early 19th century, the US abolitionist movement designated Liberia’s coast as the spot to resettle freed American slaves. It is said that officials of the American Colonization Society forced a treaty upon a local king at Cape Mesurado (present-day Monrovia). And so Liberia was founded in 1847 by Black American settlers. Perhaps unsurprisingly given their own brutal past, the former slaves enslaved the autochthones and went on to monopolize Liberian politics for two centuries. This layed the groundwork for inequalities so deep, that they triggered the 1989-2003 civil war. Some Liberians think that reconciliation should start where it all started – by revising the symbols of the nation. Liberia’s Governance Commission is tackling some of these issues as part of developing Liberia’s National Vision 2030. How can policy makers help heal some of the deep wounds inflicted by the civil war without rekindling explosive tensions? Curious and hopeful to see what would come out of the introspective work that Liberia is doing! This entry was posted in Liberia and tagged Africa, American Colonization Society, Ellen Johnson-Sirleaf, Government, Lebanon, Liberia, Monrovia, United States by Hala. Bookmark the permalink. Same superficial differences here as well! I am told physical appearance won’t give away an Americo-Liberian (or Congo as they’re called), but a last name would. Segregation is economic, social and, up until Doe’s coup in 1980, political (think private education, posh neighborhoods, education abroad, etc). 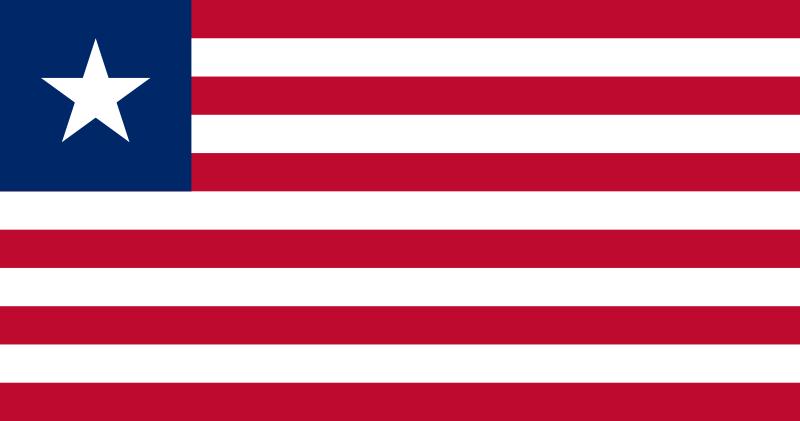 Today Americo-Liberians probably represent 5% of the population. But they’re still the old elite and there is still a deep sense of entitlement among them. Liberia has 16 ethnic groups and the civil war was to a large extent fueled by these differences – though distribution of power is not enshrined in the constitution as it is in Lebanon. I don’t think the analogy between the two countries can be pushed too far though, as beyond the experience of a 14 year long civil war, there are more differences than commonalities among them. I think we have also employed the Ostrich policy in Bosnia-Herzegovina, a country that like Lebanon is the front line of different civilizations and religions traditions. Also has not been very productive. 15 years since the end of the civil war, the wounds have perhaps been covered up but not really cleaned. This is one area where I also think we can learn more from Liberia. Wonder what is the role of the religious church / mosque / temple in leading this process of healing? From the things I have read, the difference isn’t in religions as much as it is in the land grab of the tribes. The tribes of Liberia do not recognize the Mandingos as being Liberian because they moved there from somewhere else. The tribes want what they perceive as theirs, the land, back. Not letting others that they see as foreigners, even those that have lived there for long periods of time, be a citizen, gives them the “right” to take back what they believe is theirs. The different religions in Liberia have a commonality in that all still mix traditional tribal beliefs into it. Even the Mandingo, who are considered Muslim, have the base of African tribal beliefs into it and most traditional Muslims, may not consider them true Muslims. The fighting between the tribes was never about religion, but land, in my humble opinion. The Americo-Liberians did all they could to suppress the indigenous tribes until they finally fought back. It is no surprise that an Army SGT was the one to over throw the old elite. The indigenous tribes could do nothing to climb the ladder of success with the way the government was formed. More and more of their lands were being taken and sold to foreign businesses, like Firestone, or for mining the natural resources, like the diamonds. Now the Lebanese want citizenship and most Liberians will see that as another group taking away from them what they consider should be theirs or succeeding where they themselves should. Also, most Liberians feel that the Lebanese should be spending the money in Liberia and not sending it home or elsewhere out of the country. But in fairness to the Lebanese population, if they can’t buy land, they don’t pay taxes, and the commerce in Liberia isn’t exactly like in large cities in other countries, what is there to spend it on in Liberia? Another problem I see is when foreigners move to another country, instead of assimilating to that country, they hold to their customs, values, whatever, from the country they left. If you are going to ask to be a Liberian citizen, then learn to be Liberian. And be proud of that. If you are moving to the United States, be an American and be proud of that. Learn the language, the history, the customs, etc. Don’t forget where you came from, don’t give up everything, but don’t expect others in those countries to roll over and let you change things about their country to suit you. This is very interesting. Thanks for sharing the knowledge and your perspective, Eva!